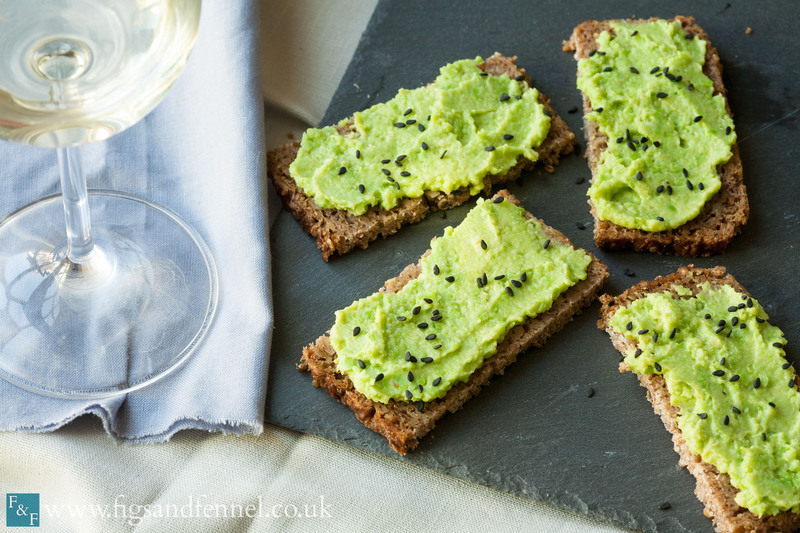 Wake up the senses with this easy broad bean, horseradish and avocado dip. 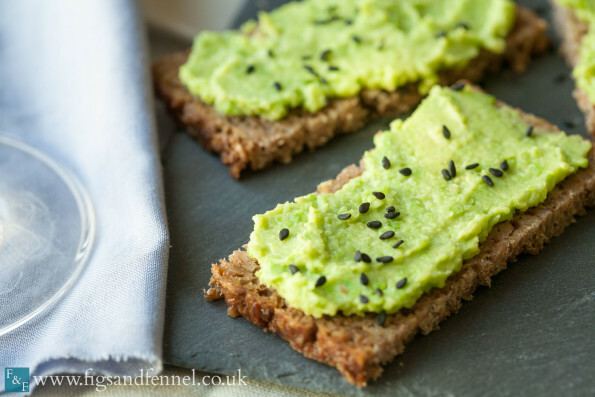 The broad beans give the dip a brilliant bright green colour, the horseradish gives heat and bite while the avocado creates a velvety smooth texture. With their grey, bitter skin, broad beans can evoke memories of school dinner misery but, beneath the bitter skin lies a beautiful, soft, bright green inside. They can be a bit time consuming to husk hence why people often serve them still wearing their nasty tasting grey coats but once removed the flavour is delicate, nutty and fresh. When buying horseradish avoid anything that has ‘cream’ or ‘sauce’ in the title as these contain wealth of other, unwanted, ingredients. You just want the pure stuff. If you do manage to get hold of fresh horseradish just peel the skin off with a knife and grate the flesh by hand or pop in the blender. When it comes to adding it to your cooking, be conservative in your judgement adding little by little – the potent flavour means that too much can make your food totally inedible. Begin by removing the beans from their pods. Next blanch the beans in a pan of boiling water for 30 seconds. Drain and leave to cool for a few minutes. When cool enough to handle, use a knife to create a tear in the skin of the bean and pop out the beans from their skins. Peel the avocados, remove stone. Combine skinned broad beans, avocado, lemon juice, and a couple of teaspoons of the grated horseradish in a blender or pestle and mortar. Season with freshly grated salt and pepper and blend or mash to desired consistency. Gradually add more of the grated horseradish testing as you go and stopping when you reach the desired heat. If serving as a dip, place in a bowl and scatter on the black sesame seeds. If you are going to serve the dip spread on bread or crackers wait until you’ve finished the spreading before scattering over the seeds. Serve spread on rye bread, with sticks of cucumber and red pepper, or alongside a green salad of pea shoots and fennel tops.